content of the box, excluding padding and border. 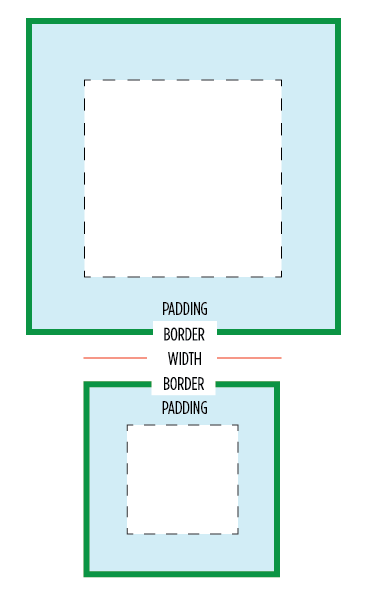 between the borders of the box, including padding and border. You can set width 100% and adding some padding and borders and width will be 100% of parent element without adding padding and borders to it.